TaxiPoint will be one year old next week and we’re very grateful for your support over that time. With over 30,000 regular returning readers we hope you enjoy what we bring to the trade. Responsible and accurate reporting across all agendas. TaxiPoint will always be free to read, but we’re looking for support from our readers to help spread the word. 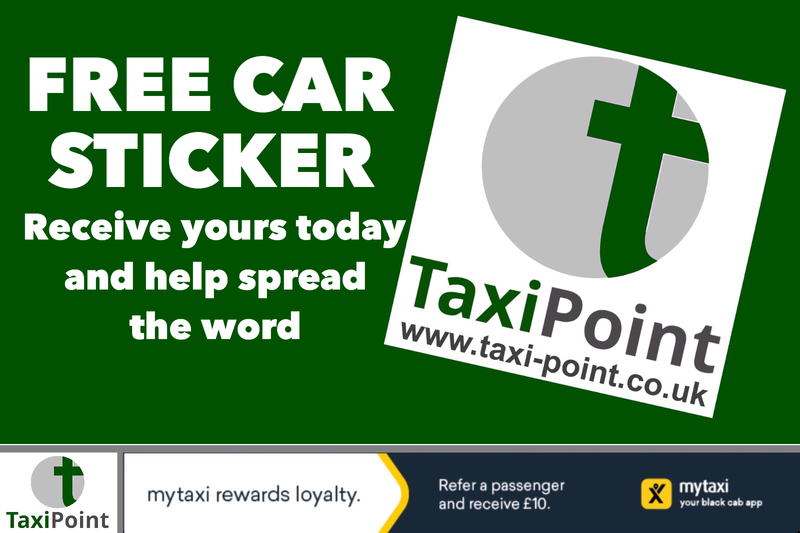 If you would be kind enough to display a TaxiPoint car sticker please drop us a message using the contact link below. With more readers we’ll be able to bring you more in return. Click here and please provide your name and address for us to send you a sticker to display. All personal details will be safely deleted once we’ve sent your sticker. Many thanks and be lucky!